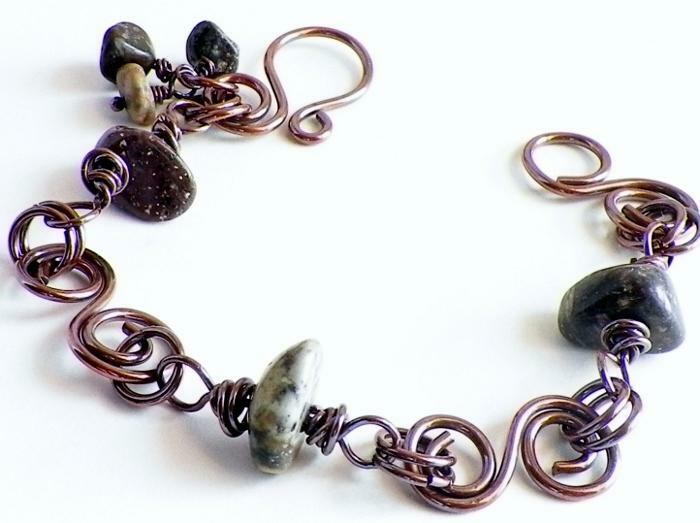 This pretty handcrafted bracelet is made from 16 gauge copper wire double S links and Himalayan river stones links made from 18 gauge copper wire. 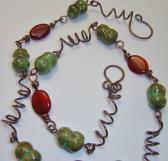 I connected the links together with handcut jumprings made from 16 gauge. Very sturdy bracelet. 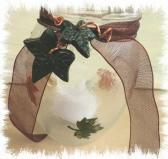 Closure is a handformed hook clasp. 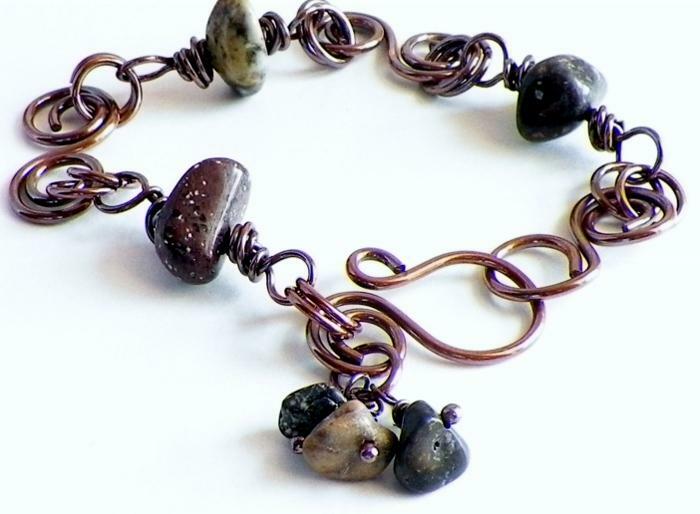 Oxidized and tumbled to work harden and polish. 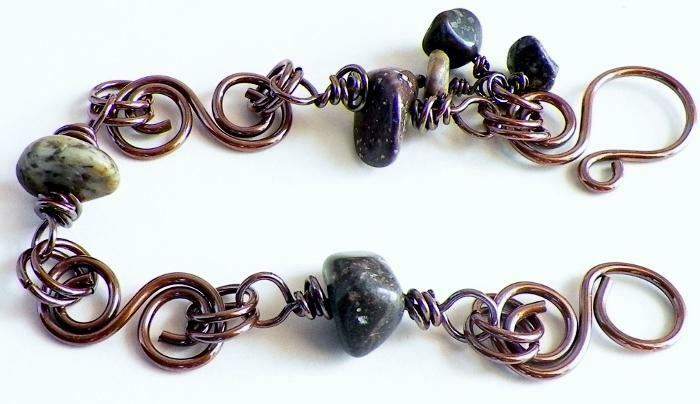 Three smaller himalayan stones dangle from a jumpring on one end. 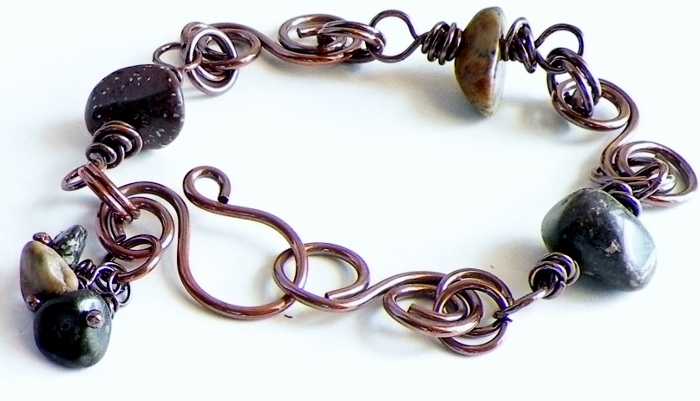 Bracelet measures 8" in length.